Academics from the School of Law have been working with the Carnegie UK Trust and others from government, industry and wider civic society to propose a new 'wellbeing framework' for Northern Ireland, exploring how the concept of wellbeing can be used to promote social change. 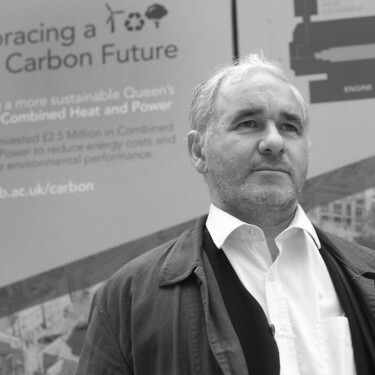 In 2014, the Carnegie UK Trust and the School of Law at Queen’s convened a Roundtable on Measuring Wellbeing in Northern Ireland to explore how the concept of wellbeing can be used to promote social change. The far reaching recommendations, which are to be presented to the Northern Ireland Executive, could result in ambitous reforms in the style and mode of governance arrangements, in relations between the centre and local government, and in levels of public engagement with policy design. The Roundtable, which included individuals from government, politics, academia, industry and wider civic society, concluded that the time is right to develop a ‘wellbeing framework’ to guide and support the work of all public services in Northern Ireland. Their report sets out seven steps for developing a wellbeing framework, and ten recommendations in order to implement these steps and introduce a new, innovative way of delivering public services. 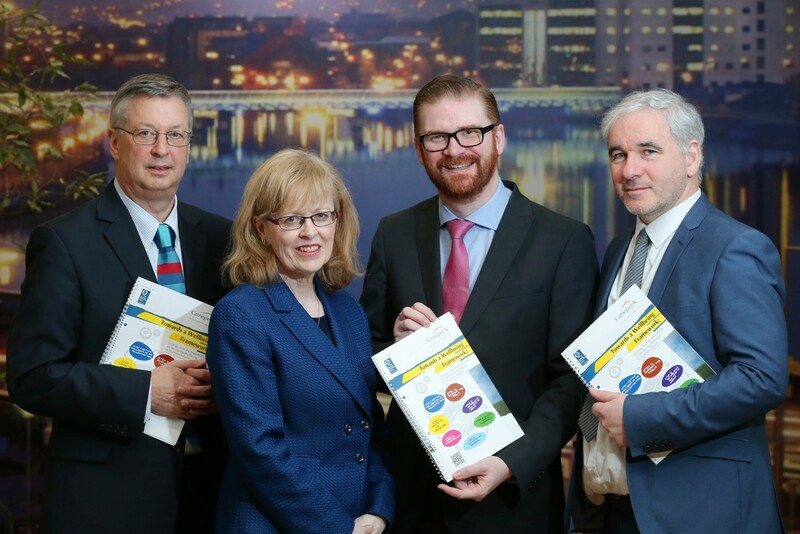 Simon Hamilton MLA, Minister for Finance and Personnel, took delivery of the report in March 2015, and has undertaken to present a paper to his Executive colleagues later this year. Furthermore, Daithí McKay MLA, Chair of the Northern Ireland Assembly’s Finance and Personnel Committee, has summoned representatives from the School of Law at Queen’s and the Carnegie Trust to present to the Committee on three occasions, looking in particular at the implications for budget and policy scrutiny procedures. Minister Hamilton has indicated that he wants to see the core proposal for a Wellbeing Framework form part of the architecture for future Programmes for Government, featuring wellbeing outcomes to facilitate more joined up policy delivery. He views the recommendations, amongst other proposals, in the context of his own plans for public sector reform and delivering more effective government, including measures to provide a clearer picture of the relationship between investment and outcomes across the public sector and in partnership with local government and civil society. The intellectual origins of the Roundtable can be traced back to the influential Report of the Commission on the Measurement of Economic Performance and Social Progress (2009) co-chaired by Joseph Stiglitz, Amartya Sen, and Jean-Paul Fitoussi. This report’s findings highlighted an over-reliance on aggregate measures of economic productivity such as GDP, just as similar lessons were entering the mainstream media in the wake of the global financial crisis. This Beyond GDP discourse also resonates with long-standing conversations within the global environmental movement stretching back to the work of the Club of Rome on ‘limits to growth’. Even the American economist, Simon Kuznets, who developed GDP as a ‘crude’ aggregate measure of economic activity in a time of emergency during the 1930s, warned that it was never intended as a long-term approach to capturing important markers of progress such as welfare. While Beyond GDP summarised the policy debates on new measures of economic performance and social progress, the language of ‘wellbeing’ has now been adopted by the United Nations, the European Union, the Organisation for Economic Co-operation and Development (OECD) and many governments to sum up individual and social aspirations. Wellbeing is a holistic concept, bringing together social, environmental, economic and democratic outcomes. As governments around the world seek to move beyond proxy measures of national economic performance and social progress, ‘wellbeing’ has come to serve as a richer and more encompassing concept to capture both the objectives of government policy and the aspirations of populations. Critically, the sources of wellbeing are understood to have economic and non-economic dimensions. Wellbeing outcomes refer to the policy impacts, sometimes measurable, and often involving collaborative policy work with contributions within and beyond government actors. Wellbeing is sometimes associated with the ‘happiness debate’ and recent media coverage of measures of subjective states of mind within certain populations. The Northern Ireland approach to wellbeing refers to a much richer understanding – acknowledging that there are subjective and structural sources of wellbeing. Freedom, autonomy, conviviality and equality, for example, are key determinants of our ability to realize a life that is valued and meaningful. The understanding here is much closer to Aristotle’s ‘Eudaimonia’, or a life well lived. In developing new thinking about wellbeing, Amartya Sen and Martha Nussbaum’s approaches have been influential. For Sen, development is ultimately associated with the realisation of human freedoms. He is not only concerned with the categorisation of individual functions (e.g. literacy, health, mobility, ability to reason) but with decisive factors, notably freedom and equality, that mediate opportunities to complete an autonomous and valued life path. Sen was among the first to understand how valued lives are only loosely associated with access to commodities. At the root of the wellbeing agenda is a radical idea – that not all satisfiers of human aspirations can be reduced to an economic ‘algorithm’ or monetary value. Sen and Nussbaum’s understanding of wellbeing also has important political insights for post-conflict societies, including opportunities to link wellbeing to the cultivation of democratic reasoning, engagement and autonomy. For example, the former PSNI Chief Constable, Matt Baggott, drew attention to the links between wellbeing and conflict in 2013 when he identified a number of longer-term issues for those communities who felt left behind and where a deep sense of grievance is keenly felt. He referred to high suicide rates, high rates of health inequality, and low educational achievement. Wellbeing and governance are always context specific. In Northern Ireland, the suffering that accompanied the conflict and that has profoundly shaped post-conflict politics, is a central challenge for the construction of a meaningful conversation on wellbeing here. Wellbeing is both a means and an end when it comes to deepening our democratic experience and enabling a genuine co-authorship of a positive peace, a vision of peace that goes far beyond the mere absence of violence and even invites us to reach beyond the language of tolerance. A new narrative for governance in Northern Ireland: A call for the Northern Ireland Executive, alongside civil society, to identify a new narrative for social wellbeing. A framework that focuses on outcomes: A wellbeing framework for the Northern Ireland Executive’s future Programmes for Government that will act as the focal point of a more collaborative approach to policy design and implementation. Citizen engagement: A call to transform the quality of evidence-based government policy deliberation by collaborating with civil society, academia and think tanks as well as incorporating principles such as ‘co-design’ and ‘co-production’. This may require a shift towards an ‘enabling’ or ‘partnership’ model of government, notably within the context of Local Government Reform and Community Planning. New ways of working: The Roundtable’s recommendations are predicated on public sector reforms, learnings based on pioneering work within the OFMDFM on Delivering Social Change and deep linkages to ongoing civil society conversations on Open Government – all approaches to policy design and delivery that are based on outcomes and the emergence of new forms of collaborative working using new information and communications technology. The OECD has indicated that the Carnegie-School of Law work on wellbeing may become the subject of a case study. The School of Law and the Carnegie UK Trust will host a conference on 10 June to provide an opportunity for a formal response to their recommendations by Minister Simon Hamilton, Finance Committee Chair Daithí McKay, Local Government and civil society. The entire Roundtable process has been an example of co-production, engaging the highest levels of the political and public administration alongside academia and civil society in the design of the recommendations. Alongside the advocacy work, a series of conversations will continue throughout 2015 to embed the ideas across society, within the cultural sector, academia, local government and community planning fora, and in the private sector. The School of Law is keen to identify partners as it develops a research agenda to support this process of embedding and elaborating the Roundtable recommendations on shifting the governance narrative in Northern Ireland to one that foregrounds societal wellbeing. It is a narrative that will not be imposed top-down but will be based on a deep respect for emergent conversations already taking place and seeking to move Northern Ireland to a more collaborative and meaningful vision of governance in the wake of recent challenges. The featured image used in this article is of Martyn Evans, Chief Executive, Carnegie UK Trust, NI Roundtable Co-Chair, Aideen McGinley, BBC Trust (NI), NI Roundtable Co-Chair, Simon Hamilton MLA, Minister for Finance and Personnel, and Dr Peter Doran, School of Law, QUB, Roundtable Executive Secretary. Note: Since this article was published, Arlene Foster MLA has been appointed as Minister for Finance and Personnel.